Inside Jeff Bezos’s Head: Amazon’s Android Tablet? I think I’ve learned a secret about Amazon. On June 7, Amazon held its annual shareholder’s meeting, and I just took a closer look at my notes. 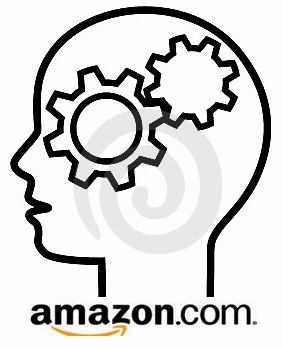 They offer a fascinating peek inside the mind of Jeff Bezos. But can they answer the question about what’s in Amazon’s future? 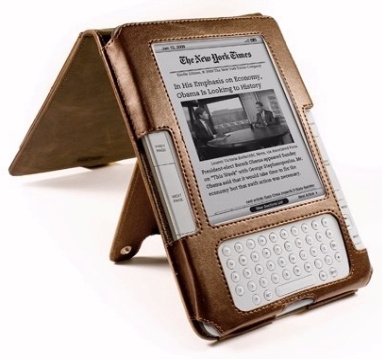 It seemed like the shareholder’s had one question on their mind: is Amazon building an iPad-style tablet? No one asked the question directly, but several seemed to ask it indirectly. For example, one shareholder asked Bezos how Amazon’s online retail business would look in 10 years. And it seemed like Bezos took the bait. “One thing that I think will change is that we will see way better mobile devices, even than we have today,” he told the crowd. And then he switched to a historical perspective. “If you look back five years — try using the web on a mobile device five years ago. It was an extraordinarily painful experience. “Today it’s still a marginal experience, in many cases,” he said significantly. “If you have a good WiFi connection and a very good, you know, uh, smartphone or tablet, it’s now getting to be a pretty good situation. But with the average phone that people have and the average cellular connection that people have, the mobile browsing experience is still a pretty marginal one. “Yes,” Bezos replied. And of course, if you’re reading between the lines, it’s easy to see the same pattern in his answer. “In the last six years, as we’ve built Amazon Web services, we’ve also become a company that provides technology. Now we sell technology, which really we hadn’t done. We’d been users of our own proprietary technology, and now we’re on both sides of that. One way to improve the mobile browsing experience, especially on small-screen devices (non-iPads), would be to provide an Amazon-store interface optimized for small-screen devices. This is a possibility I read about in a Kindle blog within the past two weeks. It would definitely give Amazon a boost if it were to offer something like that. It’s the sort of forward-thinking move that JB would make.